Who? Italian modernist Tommaso Landolfi, whose blurb baffling compares to Kafka, Joyce, Borges and Poe, though must surely be considered the hugely-less talented heir of each. Actually he’s nearer Italo Calvino, though without the creative focus. What? 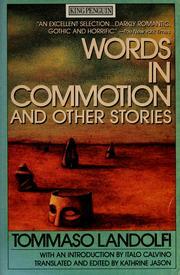 An anthology of fiction and non-fiction giving a broad view of the author’s surreal but fairly embittered imagination. When? This anthology (compiled 1986) brings together work ranging from 1937 to 1978. How? Landolfi’s work is presented thematically: Fantastic Stories, Obsessive Stories, Dialogues, Horrific Stories, Between Autobiography & Invention, Love & Nothingness, Little Treatises and Word & Writing. With each new genre, I felt hopeful Landolfi would find his stride. I was disappointed. Why? The primary downfall of Landolfi’s work, other than the complete lack of flair in his prose, is his ambiguous gender politics. I have no problem digesting, even enjoying work that can be criticised as morally spurious, and I don’t exclude any work by any author on moral or political grounds. Still, the repeated digressions of a kind of emasculated chauvinism that Landolfi’s protagonists enter into quickly bore, and his ‘philosophy’ of gender, if one exists in his work, is at best a pseudo-philosophy. Here, I find basic misunderstandings about the nature of life and people masquerading as metaphysical quandaries, as well as a vapid intellectualism that would only suit certain breeds of 1970s tweed-laden academics. Though some of Landolfi’s ideas are interesting, the central tone of his work is one of embitterment at the complexity of the world, and thus lacks charisma. Comparing this with the perceptiveness of Kafka, the forward momentum of Joyce, the compassion of Borges and the lyricism of Poe, Landolfi cowers in a dark corner, holding his willy. Words in Commotion is available as a King Penguin paperback, in translation by Kathrine Jason and introduced by Italo Calvino.